Has your hot water system broken down and need repairs or service? Or do you need a hot water system installed? Bocca's Plumbing & Gas can help. We provide provides hot water system installation & repairs. Servicing Carlisle & the surrounding areas. Are you looking for hot water system emergency repairs? Contact us for quick repair! For a quick, professional and quality job give us a call. Bocca Plumbing & Gas is the local plumbing and gas expert you can trust to get the job done. What are some common causes of failure of your hot water system? Hot Water System Failure Reason 1) Corrosion of the tank and it’s parts. Although the majority of the hot water system parts have a protective coating, some connecting parts do not and they will tend to corrode first. Hot Water System Failure Reason 2) Heating unit burn out. Just like any heating part, the heating unit in your hot water system can also burn out. Hot Water System Failure Reason 3) The pilot light has gone out! Yes, it happens! Hot Water System Failure Reason 4) A Leak. A hot water system leak could be many things, including condensation. Call Bocca Plumbing & Gas to confirm why your hot water system is leaking. 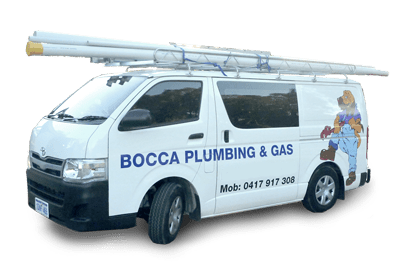 Bocca Plumbing & Gas have built a reputation based on a professional outlook on our quality of plumbing & gas work with the highest level of service to you, the customer. We provide a quality blocked drain clearing services in Carlisle and surrounding areas, whether it be residential and commercial maintenance. We use only the highest quality equipment and parts for all work guaranteeing reduction in your plumbing and gas maintenance costs. Bocca Plumbing & Gas has built up a loyal customer base that spans residential, real estate and other commercial developments. All plumbing and gas fitting work is guaranteed by our staff. If your shower isn’t getting hot, you’re quickly running out of hot water, or your water heater is leaking, call Bocca's Plumbing & Gas. Bocca's Plumbing & Gas are experienced in all hot water repairs and replacement. We aim to restore hot water quickly to avoid disruption to your daily routine.